CSK vs SRH : Will CSK get their hands on the IPL trophy for the 3rd time? 3 reasons that support the argument! CSK and their never-ending love affair with IPL finals is something that has been a constant over the years. After 8 weeks of scintillating performances, CSK yet again comfortably managed to pave their way to the finals for the 7th consecutive time and will take on the SRH, whom they have managed to defeat thrice in this season. Though, this being a final face-off, CSK must not underestimate their opponents, considering the quality bowlers SRH possesses. 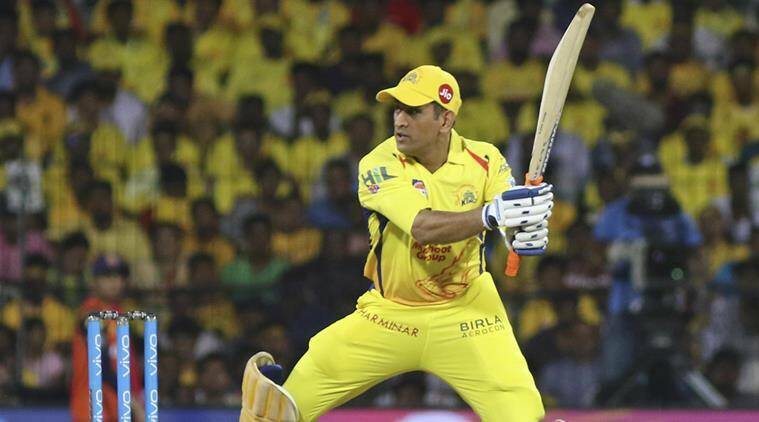 The two-time IPL champions led by Chennai’s favorite Thala Dhoni have sufficient firepower in their stock and will look to decimate SRH once and for all. Let’s look at 3 reasons that prove that CSK will surely beat SRH in the battle for the trophy! CSK possesses some of the best all-rounders in T20 cricket- Shane Watson and Dwayne Bravo. The Chennai based franchise might not have been extremely successful with the ball this season, but they overcame that with the all-round performances of the deadly duo. Bravo has been one of the greatest superstars of the cash-rich tournament and over the years has carved himself into a death over specialist in the T20 format of the game. His pinch-hitting abilities have been very vital to the team’s success on numerous occasions and will continue to remain in the final face-off of the season. Watson’s short stint with RCB wasn’t highly productive as they franchise failed to utilize his all-round potential to the fullest. It was his inclusion in the CSK that gave him an opportunity to redeem his lost touch. He enjoyed a terrific season as he amassed 438 runs in 14 games that include a hundred against Rajasthan Royals. All eyes would be on the duo to come up with some magical performance that can help CSK lift the trophy for the 3rd time in IPL. ALSO READ- WHAT ARE THE 3 CHANGES THAT SRH MIGHT RESORT TO BEFORE THEY TAKE ON THE MIGHTY CSK IN THE FINALS? Dhoni has been the architect behind CSK’s success and the mastermind will be leading his side for the 7th time in IPL finals which is a unique feat in itself. His experience of playing under the pressure situations and understanding of the game will surely give them an edge over the lesser experienced Sunrisers unit. Dhoni’s calm and composed outlook while captaining the side backed by his ability to bring out the best from the pack has what made him one of the greatest minds of the game. This season, he turned out to be a nightmare for the bowlers as he unleashed his carnage onto them and in the process managed to amass 455 runs at a staggering strike rate of 150.66. The skipper will be expected to carry his golden touch with the bat to the finals as well. CSK have never relied on one player to contribute throughout the season as it has been the case with teams like Royal Challengers Bangalore. Their over-reliance on Kohli and Ab de Villiers have been their one of the reasons of failure. Talking about CSK, they have always been a champion side with players who possess the ability to win matches single-handedly for the franchise both with the bat and ball. While Suresh Raina and Ambati Rayudu have been the backbone for the franchise, Dhoni has slipped into the shoes of his finisher and Lungi Ngidi with the ball won them the game against KXIP. Bravo’s 68 against MI in their inaugural match gave CSK a kick start to the IPL, Sam Billings breathtaking knock against KKR and finally Du Plessis unbeaten 67 against SRH in the Qualifier-1, all these contributions have been the game-changers for the CSK which helped them end the league stage at the 2nd position in the points table. CSK and their never-ending love affair with IPL finals is something that has been a constant over the years. After 8 weeks of scintillating performances, CSK yet again comfortably managed to pave their way to the finals for the 9th consecutive time and will take on the SRH, whom they have managed to defeat thrice in this season. Though, this being a final face-off, CSK must not underestimate their opponents, considering the quality bowlers SRH possesses. Next articleIPL 2018 SRH vs CSK: Who’s going to win the final battle of the season? Let’s look at the predictions!